Located in Fond Parisien, Haiti, the folks at Haitian Christian Mission are a hard working group dedicated to improving the lives of Haitians in many ways. During our week there we documented a team of doctors and nurses from the States traveling to several bush clinics that stretched across the country from Jacmel in the south to Gonaïves in the north. 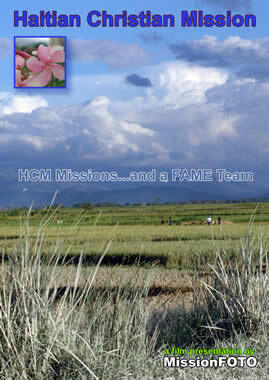 The team brought to each village they visited hope, medicines, rice and the love of Christ. It was a great joy photographing the team as they worked so hard in the extreme heat and adverse conditions to overcome the poverty that gripes this nation. We were humbled many times taping the prayers offered by team members Dr. Beth, Will and Pat, a hug from Luann as she handed out each bag of rice and the caring leadership of Lonnie. This was a piece that we produced just for the team as thanks for having received such a blessing working with them.